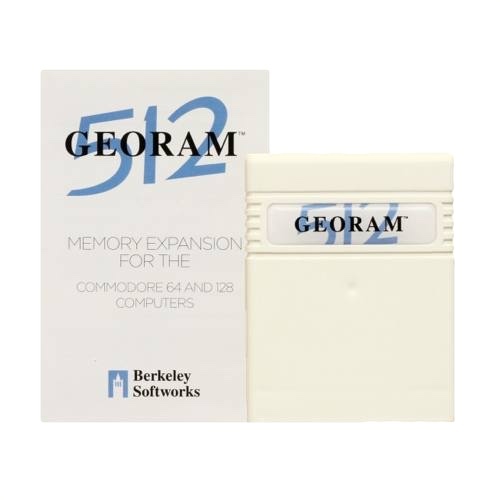 GEORAM was first released in 1990 by Berkley Softworks. It was a 512K Ram Expansion Unit that was explicitly supported by GEOS. The original was discontinued in 1993. 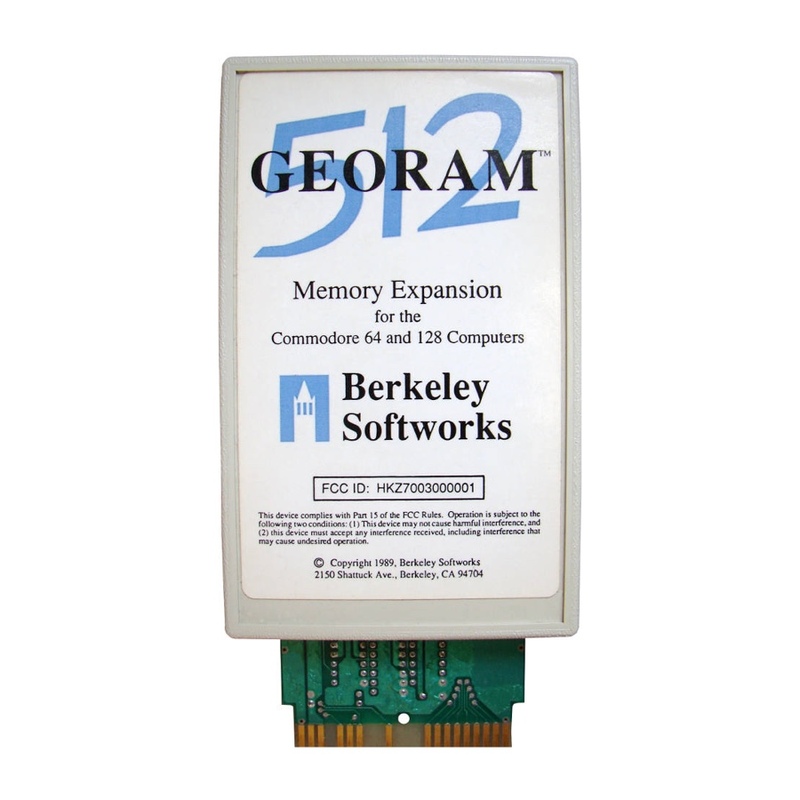 Shareware Plus is now offering a 100% compatible clone of the GEORAM 512K. It is much more affordable, comes in a much smaller package (the size of a standard game cartridge), and draws less power than the original. The GEORAM is in a professionally labeled white cartridge case, and comes in a similarly nice product box with printed user manual. Here's what the original looked like, for comparison with the new version which can be seen on the side. Despite being called GEORAM, there is nothing inherent about how it works that limits its use to GEOS. 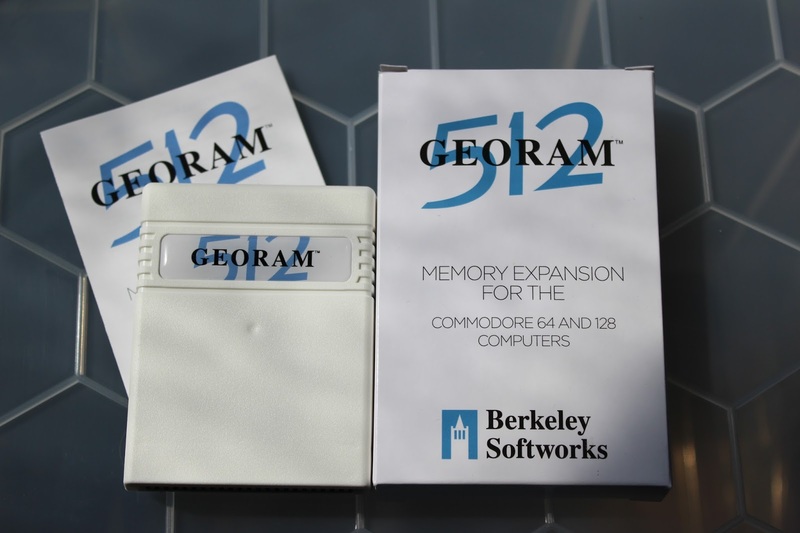 It was named like this because it was produced by Berkley Softworks, the company that created GEOS, and they shipped it with software support in GEOS. 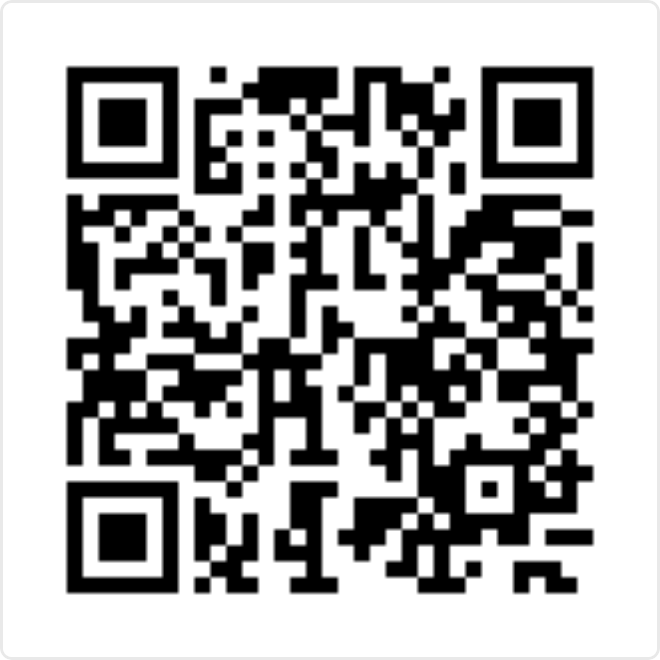 But other software for the 64 does make use of it, and any new software can easily be written to take advantage of it. The GEORAM is not compatible with Commodore's 17XX REUs, and the related clones of those REUs. 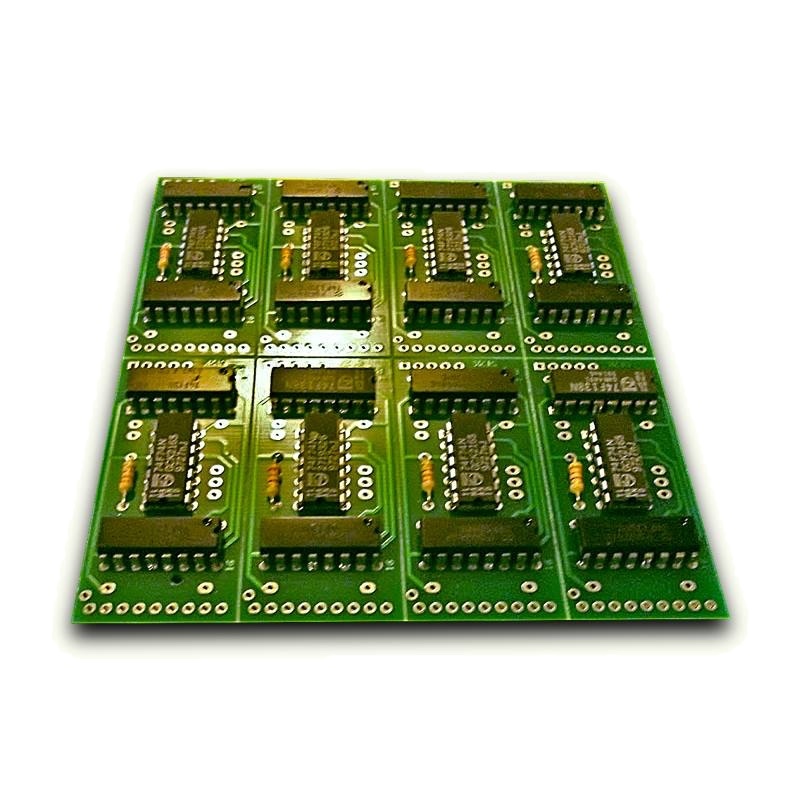 GEORAM is a significantly simpler and more limited product, however it is easier to produce as it does not depend on the Ram Expansion Controller (REC) chip that is no longer being produced. A standard REU is controlled by issuing commands to the REC chip to transfer or swap memory between arbitrary addresses of the C64's main memory and the REU's internal banks. GEORAM on the other hand offers a simple paged scheme. One page of C64 I/O ($DE00 to $DEFF) is a direct access to a 256 byte block of the GEORAM's memory. 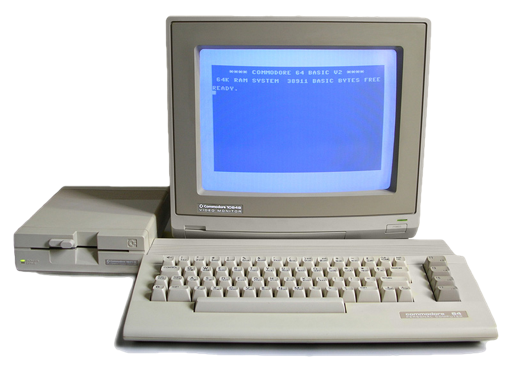 Write–only registers at $DFFE and $DFFF control which block of the GEORAM's memory will appear to the C64. 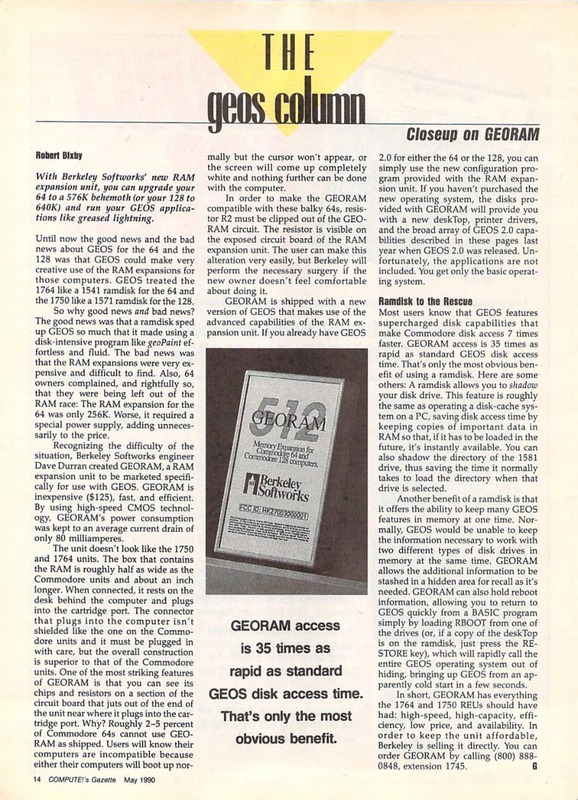 For more detailed technical information, refer to the GEORAM article on C64 Wiki. For more pictures and a comparison of the logicboards of the original and the new GEORAM, checkout this blog post, on World of Jani. 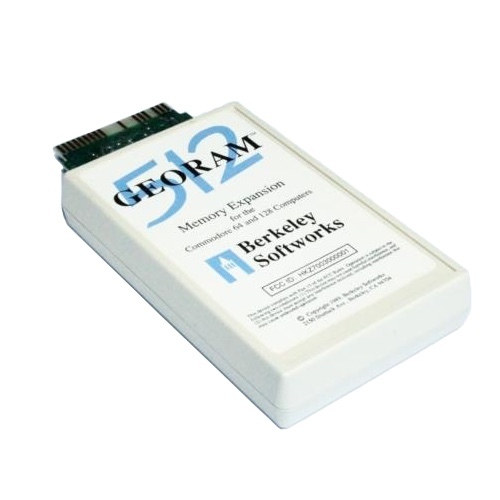 The new GEORAM 512 RAM Pack is now in stock. 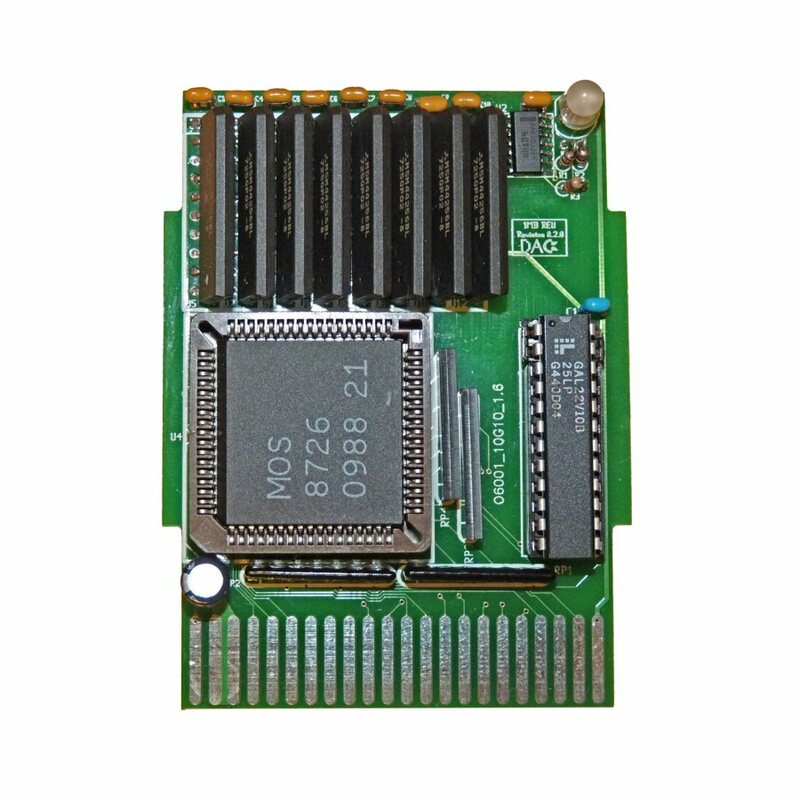 Simply plugs in your cartridge port and adds 512K RAM to your Commodore 64/128. Originally designed by Berkeley Softworks just for GEOS v2.0r, but later supported by lots of software releases. In Issue 83 of Compute! Gazette, May 1990, there appeared an article introducing the then new GEORAM.